Another great deal from Ebags! Get 25% off the Vera tote, plus free shipping. Use Ebates and get 6% cash back! And if you havent signed up yet, they will give you a $10 gift card after your first $25 or more purchase! April 4 - 10 Choose Your Travel Accessory Choose a Straighten Up and Curl, Ditty Bag or Mirror Cosmetic with any Vera Bradley purchase of $75 or more. 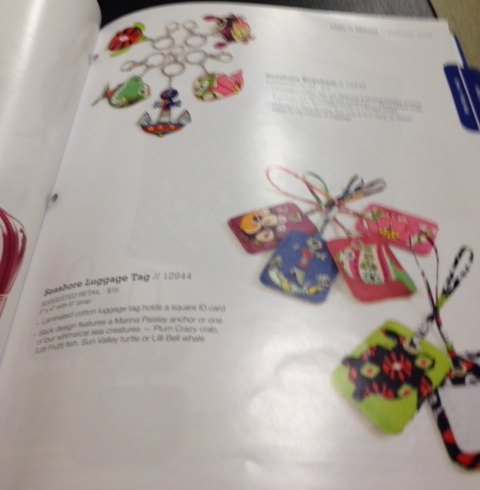 April 11-21 Seashore Keychain Receive a Seashore Keychain (retail $15) with any Vera Bradley purchase of $65 or more. May 7 National Teacher Appreciation For National Teacher Appreciation Day receive a free tote when you show your school ID and make a Vera Bradley purchase of $100 or more. May 23 Summer Sale Begins Portobello Road Paisley Meets Plaid Summer Cottage Lime's Up Baroque - I question Baroque, Vera Bradley has said they weren't retiring this one, so we shall see! Which promotions are you looking forward to? 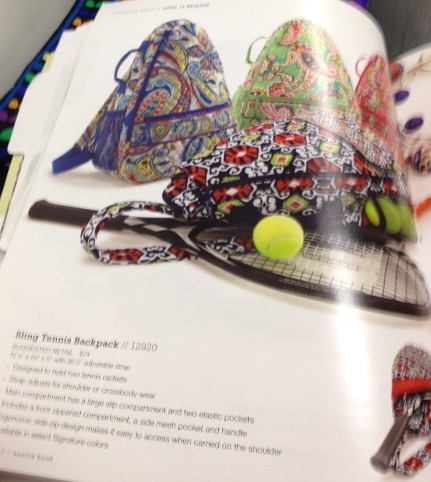 Just got an email that Vera Bradley Go Round Tote is the Steal of the Day at Ebags. They have the tote for $49.99 and Vera Bradley has it on their website for $64.99. Plus Ebags has free shipping! If you use Ebates you can get 12% cash back on your purchase! Only 40 remaining at the time on posting, so act fast and don't forget to start at Ebates! Vera Bradley has a great sale going on at the outlets! Now through April 7 get 50% off everything at the outlet stores. Call your local outlet to confirm that they are participating. 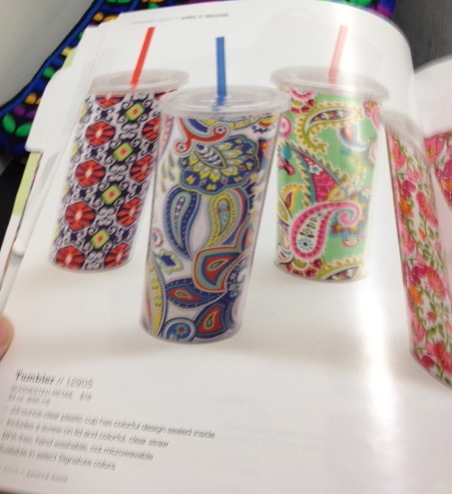 Also you can get free monograming from Vera Bradley through April 7. 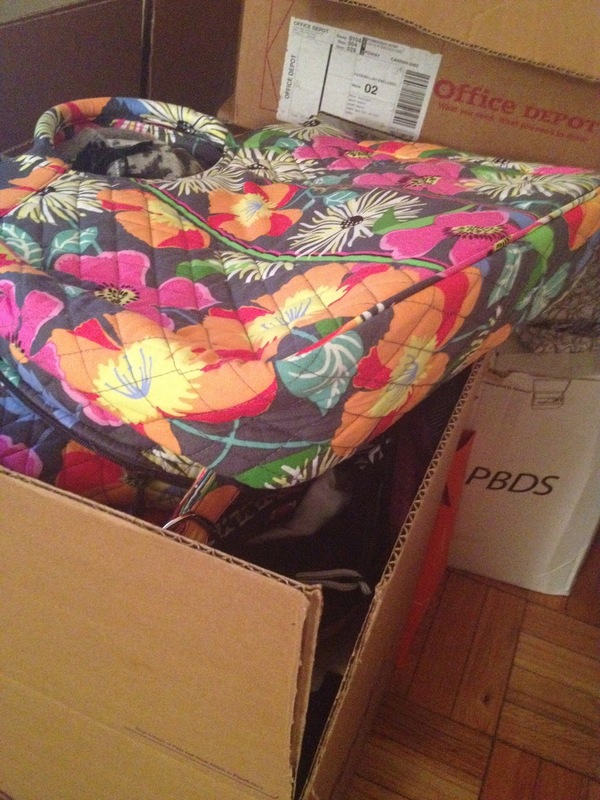 Have you had your eye on a piece of Plum Crazy luggage? Well now might be the perfect time to get the 22" spinner from QVC, it is about $100 cheaper than verabradley.com! I can't believe they have such a great deal on it! You can also go through Ebates to get cash back! Don't wait! I don't know how many they have available or how long this price will last! In just a couple hours Vera Bradley will release their Summer 2013 collection. 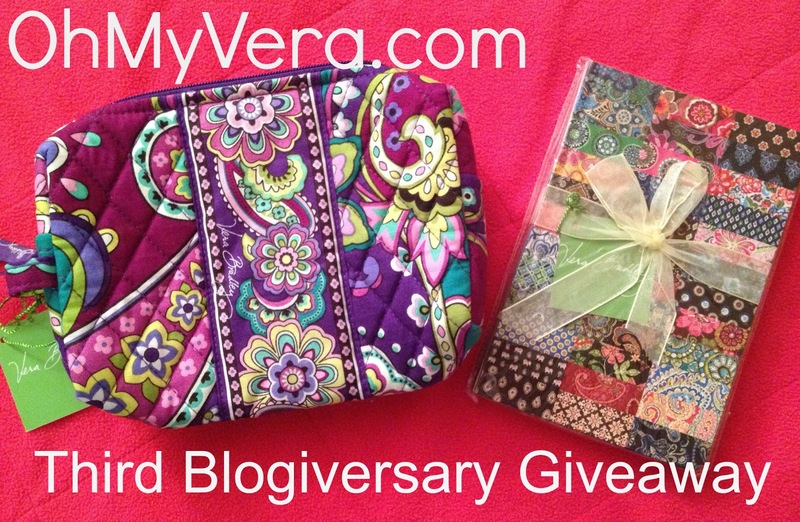 At 1:00am Vera Bradley will be on QVC! Anyone staying up for QVC? I know I say is all the time, but don't forget to use Ebates to get cash back! 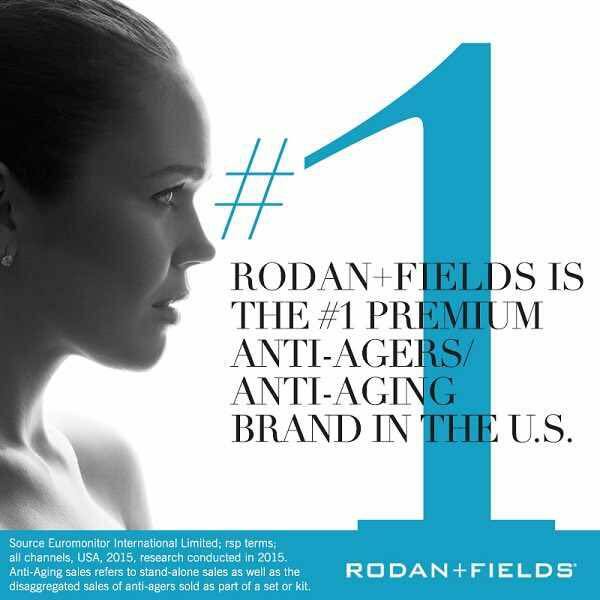 You might as well get paid to shop! Click here to sign up if you haven't already! I am excited to hear what everyone gets! Post in the comments about your purchases, along what you love or didn't love about this line! Got an email about a week ago...well maybe two weeks ago, I am a little behind...from Nathan Gotsch from Friends on Facebook about an interview he did with his sister who works at Vera Bradley. For a little background, Nathan has a podcast and interviews his most interesting Facebook friends. He recently interviewed his sister, Amanda Campbell, and they talk about everything from growing up and going to college to starting a career and having a baby. It is a really fun interview and I really enjoying hearing the parts about Vera Bradley. I think you will too! The Vera Bradley part comes a little later in the interview, but it is worth listening to the whole thing. Posts have been a little light lately because I have been busy packing! I am moving back to California in just over a week. There is a lot that I will miss from the east coast, but I am looking forward to being closer to family and friends. Still working out some details, but really excited about what the future has in store! Vera Bradley is currently on Rue La La and they have a lot of items to pick from. It is a three day boutique, so there are two days left! Colors: Plum Petals, Happy Snails, Floral Nightingale, English Meadow, Purple Punch, Priscilla Pink, Rhythm & Blues, Very Berry Paisley, Watercolor, Mocha Rogue, Folkloric, Rosie Posies, Viva La Vera, Deco Daisy, Loves Me, Totally Turq, Doodle Daisy, Ellie Blue, Camellia and a few others! Mark your calendars for Saturday, March 16 at 11:00am EST, because Vera Bradley will be back on Rue La La with lots of good deals for Vera Bradley fans! If you aren't familiar with Rue La La it is a private online shopping site that offered limited time boutiques (usually two days). You can use this invitation link to sign up: http://www.ruelala.com/invite/ohmyvera and then you will be able to shop! Shipping is $9.99, but you pay that once and then shop free for 30 days.